The Jasper House Haiti blog is designed to share stories, updates and testimonies that raise awareness, create dialogue and bring enlightenment to those seeking to become more involved in the advocacy and abolition of injustice. Do not despise your small beginnings. I have been a long-time friend and volunteer of Jasper House. I started following Jasper House on Instagram in the very beginning stages. I remember the day they opened their doors to women in Haiti. I remember the struggles they went through for fundraising and support as they started their journey towards helping women rise and empower. In January 2016, I had the privilege of living at Jasper House for 3 months. We had a small group of girls. There were eight living in the home at the time, and I lived in the upstairs area above them. I got to learn some of their stories, share in daily tasks, grow and love the Lord beside them. To this day, it is still one of my most cherished seasons. My eyes were opened to Haiti in a new light. 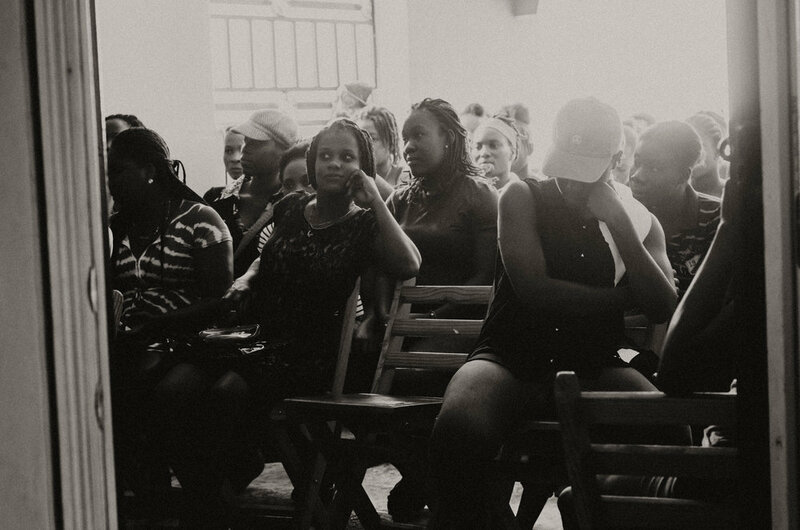 I began to see and to process all of the many facets that going into being a woman in Haiti. The struggles they have to deal with nearly every single day, whilst living in a culture that is patriarchal and does not promote women. Many women in Haiti will not even have the opportunity to get an education. From a young age, women have to work. They have these tasks as children in many circumstances. Women in Haiti are also repressed from being placed as pillars in society. Though they are the backbone of the Haitian economy, they are not treated as such by the majority of their peers. They are not seen as equal when it comes to getting educated + gaining skill sets. But this is why Jasper House exists. This is why Haiti so desperately needs organizations like Jasper House. In 2016, Jasper was just beginning their vocational training courses. I got to work with the girls as they began to craft the prototypes for the first Rise & Empower line. They would work all day long, on new pieces of jewelry + they were so happy to do so. So happy to have been given the opportunity to take their life + bring purpose through their pain. 2016 | The first jewelry prototypes being made at Jasper House. I remember one of the days the light was fading, and we normally would have been wrapping up for the evening. The city power had not come on yet (and at the time we did not have a generator) so there was no lighting aside from outside. The girls moved to the windowsill. They moved to be able to continue to work, even as the light faded and the day turned to dusk. I was moved by them. I have always been moved by them. The way they devote themselves to creating. It is so inspiring to watch, and be a part of. 2016 | Moved to work by the windows. In 2016, Jasper did not have all the classes it has today. It started with a one-room class, where Darline (our now In-Country Director) was the Teacher. She was teaching multiple grade levels to the girls who were in the program. I believe Jasper House totaled around 15-20 girls in the school + the home combined, at the time. Working out of one facility, one classroom, one office, and two bedrooms for the residents. Even then, the girls were eternally grateful for the chance to grow, learn and to change their lives around. Jasper House is two buildings, one being the Academy for Learning Centre, complete with multiple classrooms, a kitchen for vocational training, a meeting space, and offices for staff members. The second is the Healing Centre, or the resident home. This home is beautiful. It is a space where growth + renewing happens. The home itself is two-levels, with beautiful balconies on the top floor, open air breezes, a full-kitchen for the girls' to use, multiple bedrooms and bathrooms. The girls finally have their own space, aside from the Learning Centre, a place to call home. Jasper House has multiple grade levels + teachers for each level. There are three different vocational avenues: sewing, jewelry, and culinary;, specialized teachers for each as well. There are now over FIFTY girls who come each day to be educated. It is nothing short of a miracle. I traveled back to Jasper House last month, for the third time this year. I was sitting at one of the tables in the new Learning Centre home, and I was overcome with emotion. I looked around, and I felt tears come to my eyes. In that moment, I could see God so deeply at work. I have seen Him from the very beginning when the trusting was hard. When the seasons were difficult, and Jasper House was living month-to-month, praying to make ends-meet with fundraising. I have lived with Maria, and seen firsthand the work God has done in and through her, in this entire process. I have seen the girls who were the first residents in the home, grow + change + come to know the Lord in their lives. Not only have their circumstances changed, but their hearts as well. I wish everyone could experience for themselves, what I have with Jasper House. There is no explanation, except for God Himself, working miracles every single day. I had read a piece of scripture that had stuck out so deeply to my heart, and still resides with me today. I had no idea what God was doing, or where He was taking Jasper House when I first started following their Instagram account years ago. And even after living with them, I could not have predicted the miracles that have taken place. it is that we should not think of any task too small, or any answered prayer too menial. God is working through it all. He is faithful to His promises, and He is faithful to us in the process. He is working all things together for our good. For they will take you to places you could never imagine. September 2018 | A kick-off meeting for all the girls attending programs at Jasper House. I can still remember the day the idea first came into my heart to start a program that would provide healing and resources to women seeking freedom from their pain. It was the fall of 2014, I had been living in Haiti for nearly a year, and I was beginning to understand that perhaps I was supposed to stay on the island and doing something that was so much bigger than anything I had ever imagined. I dreamed of center that women could enter to find peace, stability, love, and acceptance. A place they could call their own and find the comfort and security of a family they had never known. My hope was that women would begin to learn and understand their worth and value, and that they were so much more than the trauma they had experienced. I was a passionate, yet naïve 26 year old living in a rural Haitian village, completely unaware of where this journey would take me, or what saying 'yes' to this calling would bring. It took nearly a year for the vision of Jasper House Haiti to fully take shape, but on September 4th, 2015 we officially opened our doors. We began with eight staff members and three women with only a residential program on the first floor of a house. That first year was full of ups and downs, and I didn't have much of a life outside of the program. Each month was a leap of faith - not knowing where the finances for our operating expenses would come from. Yet, in spite of the many tears I cried and nights I lost sleep worrying for where our next dollar would come from, I grew so deeply in my faith and witnessed God move in ways only He could. Our then only educator, Darline Marcelin with three of our first residents, October 2015. After our first three months we were able to rent the entire facility where we were operating and obtain both floors of the house. We grew from three residents to eight and slowly began to see the program take form and shape. Our board grew as well and we hosted our first Rise & Empower gala in the spring of 2016, which gave us funds to begin to imagine what expansion for the future could look like. By summer 2016 it was evident that our school classes should transition from just being available to the residents in our home to the women in the surrounding communities of Jacmel. Together with Darline, and our psychologist, Ruth, we hosted our first community meeting to share with local women about the opportunity they now had to attend school -- some for the very first time. 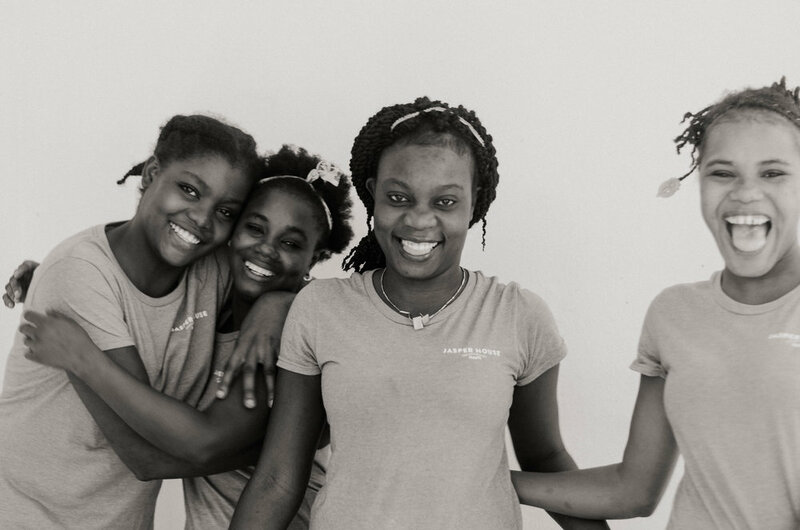 October 2016 we officially launched the Jasper House Haiti Women's Education Center with more women than we ever anticipated. Our classes included literacy through the sixth grade, and three vocational courses of sewing, culinary arts, and art + jewelry design. Our vision and dream was truly taking shape as more women's lives were being impacted and changed. Not only were our residents and students getting educated, well-fed, and having their physical needs cared for, but for the first time they were discovering that they had a worth and value that far exceeds any pain or trauma they had experienced. In early spring of 2017 we launched the "Mwen Gen Fòs" program in partnership with our board member Natalie Keys, and members of her UFC gym in Utah. Their team came to teach our women self-defense techniques to remind them of the inner strength and that no one has the right to abuse or mistreat them. Our women loved learning to box and began to chant the phrase, "mwen gen fòs," Haitian Kreyòl for "I am strong," or " I have strength" even quietly to themselves. Slowly, Jasper House Haiti was becoming so much more than my dream. It was becoming a movement, a family, and it took an army of us banding together to stand in the gap for women most had forgotten or abandoned. 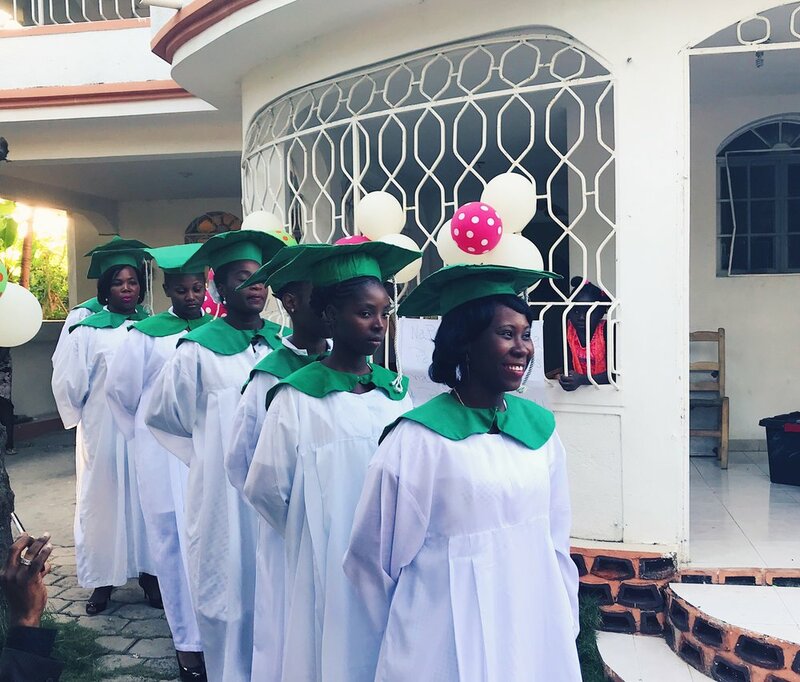 By December 2017, eight women had graduated our fourteen-month residential program, and seven women graduated their vocational classes, while twenty-seven students attended class daily. Our reach went far beyond just the women in our programs, by the end of 2017 nearly one-hundred lives from women to staff to the children of our women and staff had been touched and affected in some way. As we celebrate our third birthday and move into our fourth year, I truly stand amazed at all that has been accomplished and achieved in such a short amount of time. Today, we no longer have one building but TWO. Our residential facility and education center have been separated to ensure more privacy and protection for our residents and provide a more cohesive learning environment for our students. 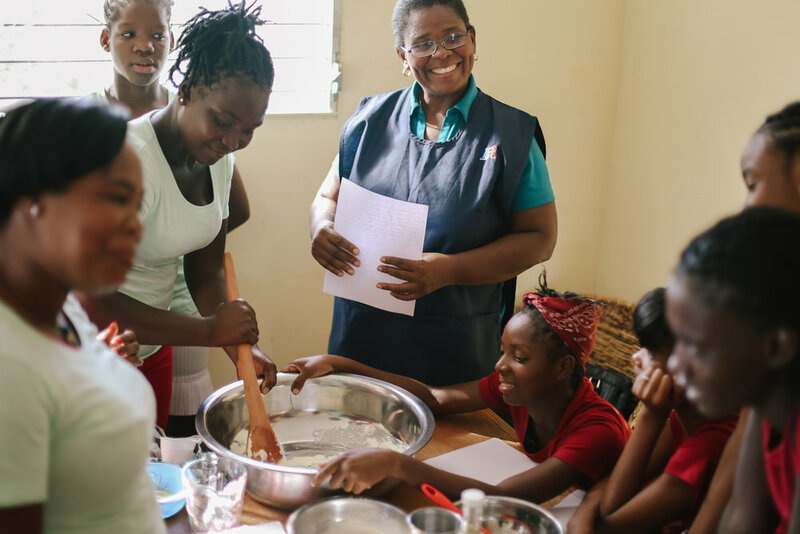 We have sixteen full-time staff members from our incredible in-country director, Darline, to our psychologist, Ruth, three house mothers, six teachers, office administrator, chauffeur, and cooks. This fall as our school re-opens with a record enrollment of fifty-five students a combination of returning and new! The testimony is purely a declaration of the sheer power and glory of God, and what happens when people come together to rise and uplift others. Our success has nothing to do with our savviness, prowess or abilities, but our dedication to fighting for something we so passionately believe in. Seeing women in Haiti restored, educated, and empowered is far more than a trendy social justice movement, it is the very beat of our heart and what keeps us going even on the days we want to give up. Jasper House Haiti would not be in existence if it was due to my strength alone. There are countless people who have made and continue to make this work possible, and to those incredible individuals I cannot say thank you enough. Looking into our future we want to see more women have the opportunity to know their precious worth and value, to be able to attend school, and begin to believe in themselves for the very first time. 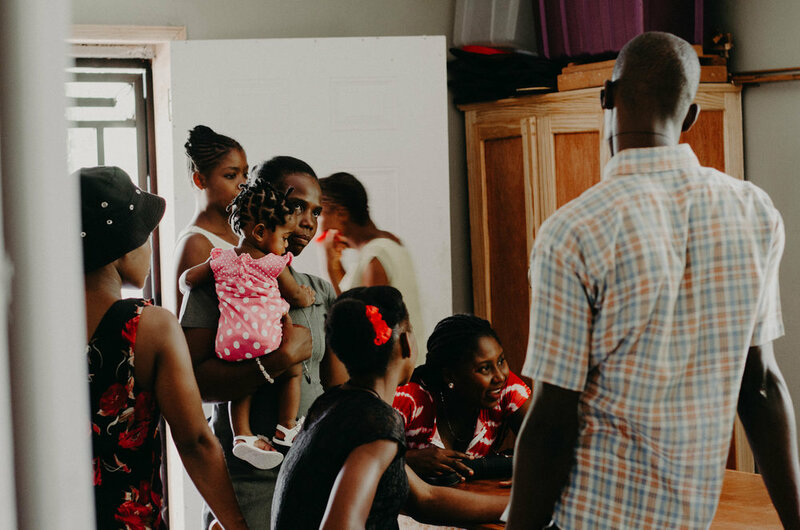 We want to expand our reach far beyond Jacmel and see that women across the entire nation of Haiti have a chance to leave the nightmare of abuse and exploitation and have hope and freedom. We want to grow our education programs and add more vocational classes to help our women achieve true personal success and financial independence. As we move forward will you consider joining us? Will you help us to continue to grow, to rise and empower and make tomorrow for women? You can read more of her thoughts and journey on her blog, Going Forth. I have never been to Haiti. Yes, you read that right: I’ve never been to Haiti. You may be wondering how I am writing a blog post for an organization that is well, in Haiti, but stick with me, because I wondered the same thing when I was asked to write this. I found out about Jasper House through two of my friends who were on the planning committee for the Rise and Empower Gala this past spring. They invited me to come to the gala to learn more about Jasper House, and I never pass up an opportunity to get dressed up, so I told them I would go. In the time leading up to the gala though, I began to think “I’ve never been to Haiti, so why am I going to this gala?” I was worried that everyone around me would be talking about all the amazing experiences they have had in Haiti, and I wouldn’t have anything to share. I was afraid that people would wonder why I was there when I had never stepped foot in Haiti. I was terrified someone would ask me question about the country that I didn’t know the answer to. My friends had both been to Haiti the month before the gala, and I felt like this was more of their thing, not mine. I ended up going to the gala, and I am more than glad that I did. I remember sitting in that room, watching a video about all that Jasper House does in Haiti, and being so inspired by that. I was inspired by all that they do to build up strong women. I love that they provide these women with skills so that they can earn a living. I love that they get to learn and grow every single day. I believe that every woman in the world deserves that. When we were asked to consider giving to Jasper House, I was hesitant. How could I give towards an organization focused on a place I knew very little about? An overwhelming feeling came over me and I found myself filling out the giving card, and turning it in. I realized in that moment, that just because my feet have never walked the streets of Haiti, does not mean that I can’t support those who have. Just because I haven’t been to Haiti, does not meant that I don’t believe in everything that Jasper House does and stands for. Just because I’ve never been to Haiti, does not mean I can’t support all the work that is happening there. Don’t count yourself out just because you haven’t experienced something. If you believe in it and you’re passionate about it, figure out a way to support it. I hope that one day, I will have the opportunity to go to Haiti. But I know that even if I never get that chance, I have the opportunity to support an amazing organization that is doing incredible work there. 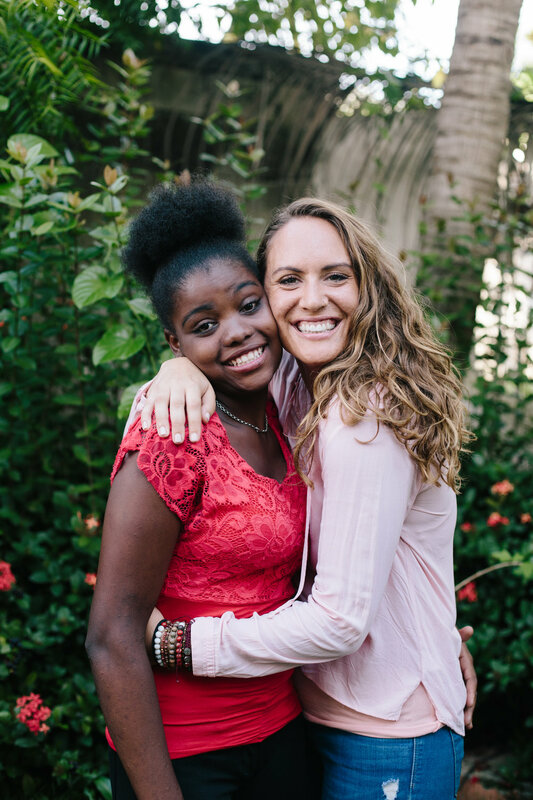 I may not ever see the effect of my support first-hand, but I know that through my gift, women in Haiti are being empowered, they are learning, and they are being given opportunities that they may not have ever gotten if it weren’t for Jasper House. If we doubt ourselves, and the impact we could make, nothing in the world will ever change. So, take a leap of faith, do that thing you never thought you could, because who knows, someday it could change the world.